"My husband and I moved from OH to Livonia and found Sue and Susan online. They were fantastic to work with! We were first time home buyers. We won out a 3-way bidding war with the lowest down payment brought to the table. We totally credit this on their hard work and negotiation skills. They worked very diligently behind the scenes to meet the sellers demands and fast turn around time. They got us into our dream home with about a 20 day closure. They would regularly call, text, and leave messages (sometimes multiple a day) and were available whenever we needed them, sometimes late in the evening. They weren't high pressure or pushy, and really took the time to get to know us and our needs. We went out on probably 5 total trips over 3 weekends to look at different houses. Each trip we saw about 4-7 houses. They showed us enough to feel confident in what we bought, but didn't waste any of our time. No houses over our budget. When we move we wouldn't think to have anyone but them sell our home." 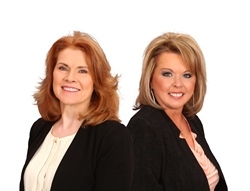 "I would recommend Sue and Susan to anyone that is looking for a real estate agent. They worked 7 days a week and I was able to contact them practically day or night. They always answered with prompt responses and were always willing to help. They were able to negotiate the best deal for me at the price I wanted. In addition, they are extremely dedicated and VERY knowledgeable." "“The Sues” helped me throughout the process of listing and selling my home. Their support and advice made the experience straightforward and even fun. I am pleased with the result and recommend them wholeheartedly." "Sue is the best. She has helped my wife and I sell two homes, one in Belleville, MI and recently in Flat Rock, MI. Each time the home was one the market for no more than two weeks before getting an offer for our asking price. Sue does her research and has a great support team. If my wife and I should need Sue for any future home sales or purchases we know we can count on her to work for us and our interests." "Sue kept us up to date on every aspect of buying this home. When we needed to communicate with the buyer, she was right on top of it! Everything about this experience was top notch!" "Sue Johnson and Susan Loos provided outstanding service in making my experience of finding the perfect home easy and successful. Communication, response time and availability to meet my schedule was exceptional." "Sue was very friendly, knowledgeable and professional from the start! Very grateful for her guidance through our first home-buying experience. She was very responsive and kept us informed every step of the way. We would definitely recommend her to anyone looking to buy or sell a home! Thanks, Sue!"